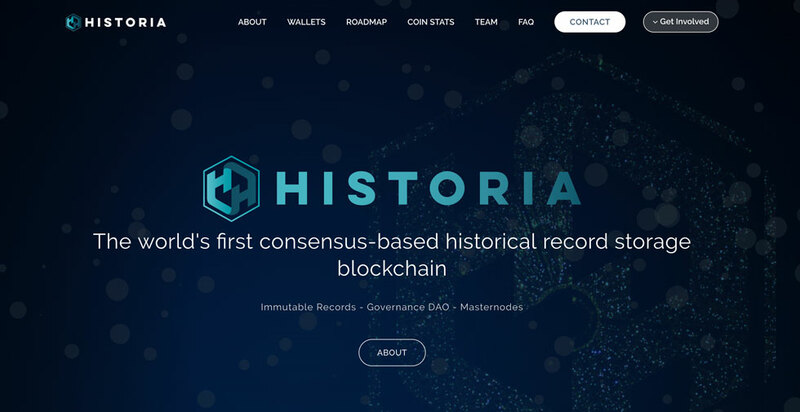 After many months of work, absolute determination, and unequivocal resolve, the Historia development team is pleased to announce the launch of the Historia blockchain. This milestone is one of many to come as we work to ensure the falsehoods of the world do not become us. With the ever-increasing tensions between governments of the world, endless partisan strafe between warring factions within a nation, an ever-growing number of borderless misleading media agents on social media sites, exaggerating and instigative AM radio political talk shows, this launch comes at no better time. Once the truth is known, it is imperative to capture and preserve it forever to prevent bad actors from altering it for any purpose. See more details on how this accomplished in the white paper by visiting this link. With the launch of the blockchain, significant resources will now be directed to completing the IPFS integrations and web application. We aim to have finalized, tested, and launched by the end of the fourth quarter, 2018. Upon completion, the application will provide robust functionality and a seamless user access experience. It is our hope the interface will make usage of network simple and trouble-free. The work never ends- security is at the top of the list of priorities. To stay up with the times, revisions will be implemented to ensure the defense of this network and the services it provides function continuously as intended. While revisions are implemented in the background, the website, as well as the web application are designed with a logical, ease of use in mind without the need to spend vast amounts of time navigating through the site to gain a quick understanding. Historia is a community project. The influence of any one superpower does not endure in Historia. The project is for the greater good of the global community with allegiance to no one except the everlasting truth of how it actually happened. If you would like to be a part of the Historia discussion, join us on Discord and let us know your thoughts. All spectrum of opinions and facts wanted, come all. up the good work! You understand, a lot of individuals are searching around for this info, you could help them greatly. more about the issue and found most individuals will go along with you views oon this site. the little changes which wijll make the biggest changes.